DraftTack is proud to offer the world's largest selection of Draft Horse bits. We are especially proud of how many we offer in size 7" or more. Check back ofter, as we get new ones all the time. 4" Flat Ring, rounded on the edges . Sizes: 5 1/2", 6", & 7"
Sizes: 5", 5 1/4", 5 1/2", 6", 6 1/2", 7"
Made of the world's finest 18-8 (chromium/nickel) stainless steel. This alloy is best for bits because it extremely strong and resists salt and acids in saliva, and will never rust or spot. Surgical quality finish. Our bits are investment (lost wax) cast from carefully crafted models of tested bit designs to insure consistently perfect quality bit after bit. Even with these advanced production methods, every bit is hand inspected. This bit has a curved mouth. Sizes: 5 1/2", 6", 6 1/2", 7"
sizes: 5 1/2, 5 3/4", 6", 6 1/2" and 7"
The surgical quality bits are made of the world's finest 18-8 (chromium/nickel) stainless steel. This alloy is best for bits because it extremely strong and resists salt and acids in saliva, and will never rust or spot. Sizes: 5 1/2", 6", 6 1/2" and 7"
The stainless steel eggbutt side pieces are 2 1/2" high, 1 1/2". The mouth is made from sweet iron with a twisted mouth that offers more attention getting power that the standard snaffle mouth. Sizes: 6 1/2" & 7"
A mild slightly curved bit made of stainless steel, this Loose Ring Oval Link Bit has 2 3/4" rings. 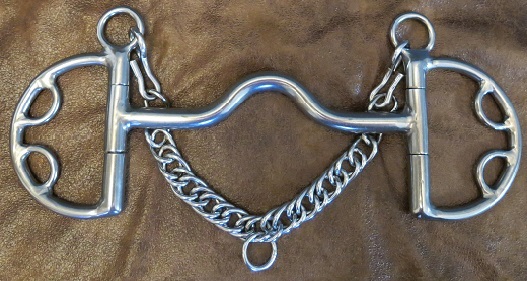 This stainless steel Grazing bit allows the horse to swallow, also graze hence the name. 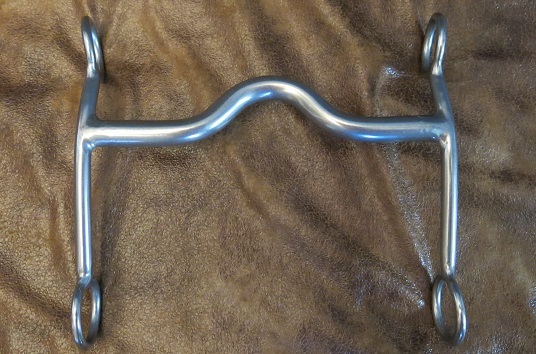 Great leverage for stopping, this bit is super for the well behaved & schooled horse. 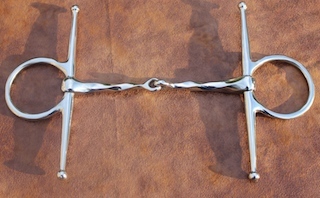 Designed to be used with a horse that neck reins. 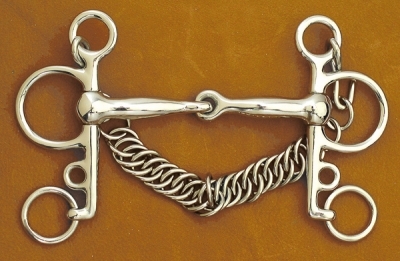 Direct reining is not used with this bit as it does not allow for lateral control. It has 6 1/2" sides with 1" rings.